En Foco is a non-profit organization that uses the photographic arts as a vehicle to address cultural and social inequities. It provides professional recognition, publication, honoraria and assistance to photographers of diverse cultures as they grow into different stages of their careers. 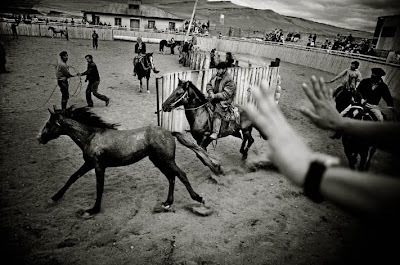 En Foco nurtures and supports contemporary fine art and documentary photographers of diverse cultures, primarily U.S. residents of Latino, African and Asian heritage, and Native Peoples of the Americas and the Pacific. 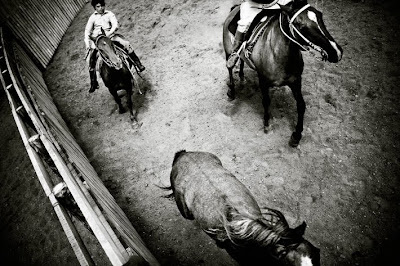 En Foco produces the Nueva Luz Photographic Journal, Print Collectors Program. Thank you for sharing these images they are amazing. 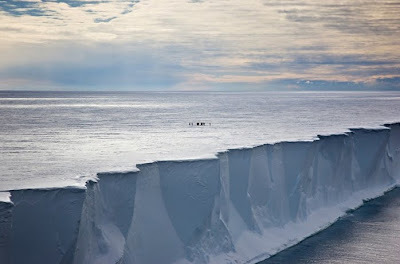 The ice shelf with humans in proportion is an awe inspiring image. If all that ice becomes water where will we be? revels a cinematogaphic feeling he has of life . the way he treated the light in this series is just fantastic . this is incredible Elizabeth !! thanks . see you !! Oh I love the first pictures! Talk about contrast. 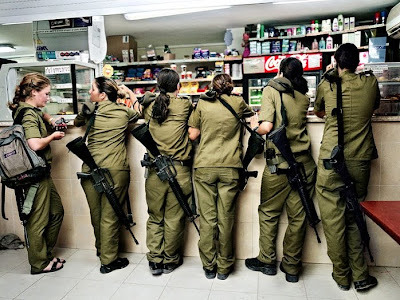 Women lined up with automatic weapons, a man bathing a baby. lot of symbolism there. As imagens por si só são significativas, bonitas, e o preto e branco lhes empresta força e intensidade. Lindas! 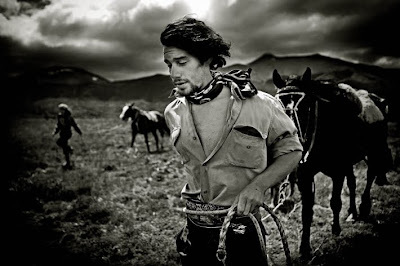 In the Cowboy Series photos, I like the lighting and the view point. The photographer captured the action nicely. Other photos are great.